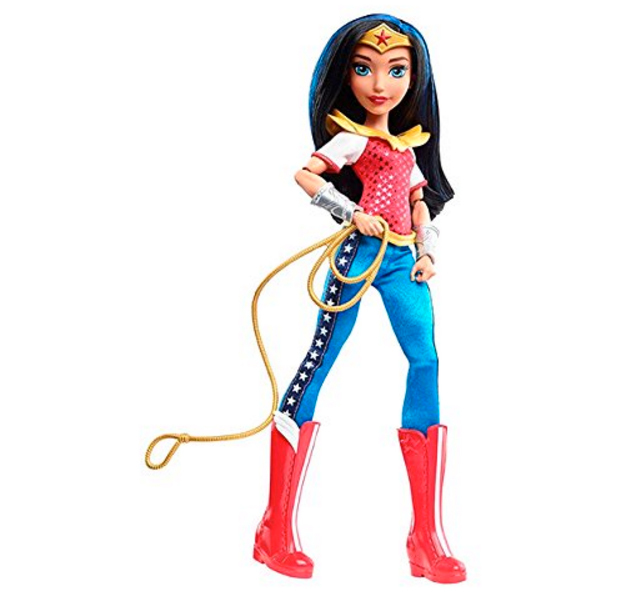 There are so many reasons to purchase gender-neutral toys as gifts. Looking beyond the versatile hand-me-down aspect, children of any gender should be exposed to toys across the spectrum of make believe, learning, creativity, being able to grow up with the knowledge that they are as capable as anyone else. Additionally, sticking with gender-neutral gifts allows children to grow into their own identity, whatever that might be. Below are excellent gift ideas for the GLBT family in your life, from baby to teen. 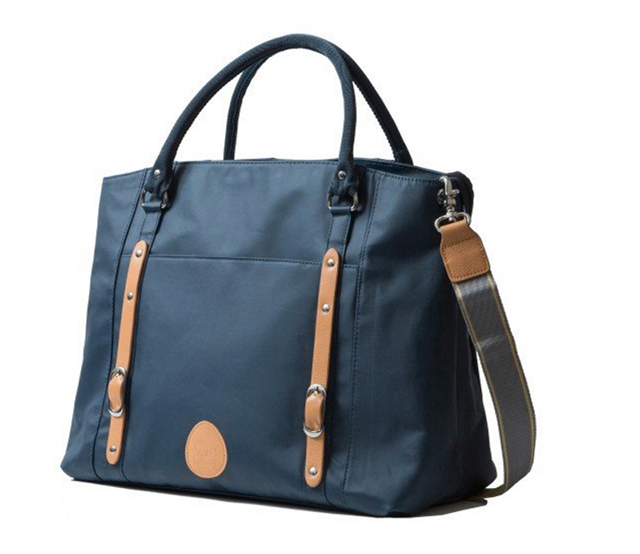 PacaPod has classic diaper bags for men and women that can transition into a great family bag when the kids get older. The Mary Poppins of diaper bags, the Mirano diaper bag has a stylish mix of natural fabrics and soft leather, with fashionable buckle details to create a truly iconic silhouette. Tucked discreetly inside this cavernous bag (32-liter-plus capacity) are unique and detachable feeder and changing pods for storing baby feeding and changing items. No matter where you wander, everything is in place! 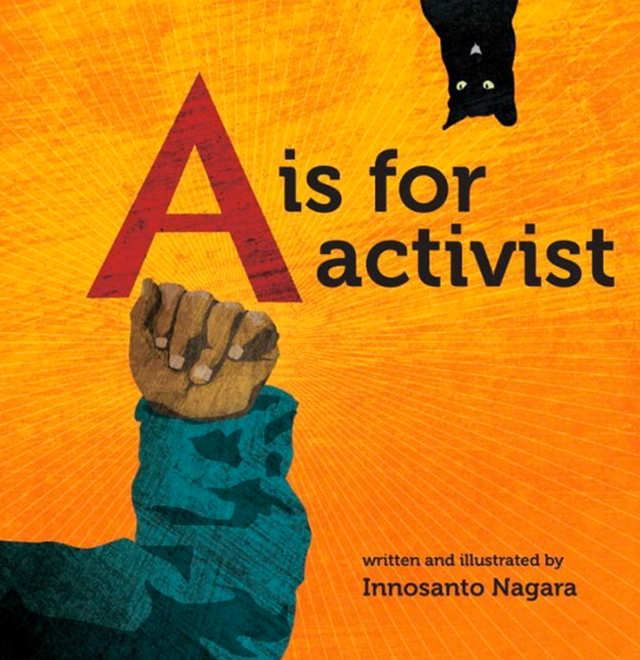 An ABC board book written and illustrated for the next generation: families who want their kids to grow up in a space that is unapologetic about activism, environmental justice, civil rights, GLBTQ rights, and everything else that activists believe in and fight for. The alliteration, rhyming, and vibrant illustrations make the book exciting for children, while the issues it brings up resonate with their parents’ values of community, equality, and justice. Every month, a new learning theme will arrive on your doorstep with all the earth-friendly materials needed to complete projects appropriate to the theme. 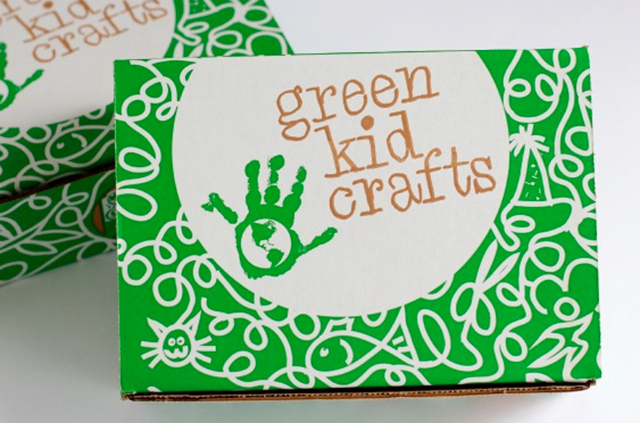 Themed boxes explore topics like ocean science, space, safari, music and more with supplies for between five and eight science, technology, engineering, art and math kits for ages three to ten. Have a young one asking for a puppy? This must-have toy fulfills that requirement without the allergens, mess, or additional apartment security deposit. Made for kids ages 5 and up, this tiny pup is the most realistic toy pet hitting store shelves this holiday season. Needless to say, Snuggles is best described as the Beyoncé of the Little Live Pets line, with six play modes and more than 35 puppy sounds (such as sniffing and barking). Snuggles moves, feels, and responds just like a real puppy does; with a pat of the head or a rub of the tummy, Snuggles behaves in different ways. Realistic and fully interactive, all Snuggles needs is a best friend. There’s been a lot of talk this year about super heroes sending the right message to our girls, and these dolls continue that message. Not only do they have a very fun look, they also send a great message of empowerment. The dolls feature articulating limbs so kids (both girls and boys!) can use them for acting out all sorts of super hero moves. You can buy the larger 12-inch dolls individually or go in for the 6-inch versions in a three or six pack. 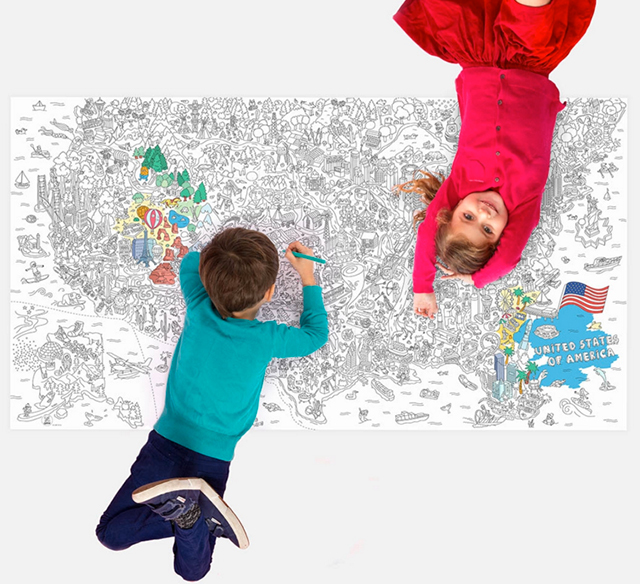 Discover the endless possibilities of these giant coloring rolls! On the floor, on the wall or as a tablecloth, these giant posters can be drawn alone or with friends. Hours of fun guaranteed. Available in several designs, from a world map to the most funny themes, try to complete them all! Designed and made in France by OMY Design & Play. They’re funny and a little weird, and they’re only $25. No need to overthink it. Poses range from a headstand to tree pose, downward-facing dog, and more. Figures vary from one to three inches high, made from ABS plastic, and come in zen yoga studio packaging with a bamboo floor. A great gift for teens who can’t look up from their smartphones for more than two minutes at a time, and parents who don’t want to be left out of the fun. 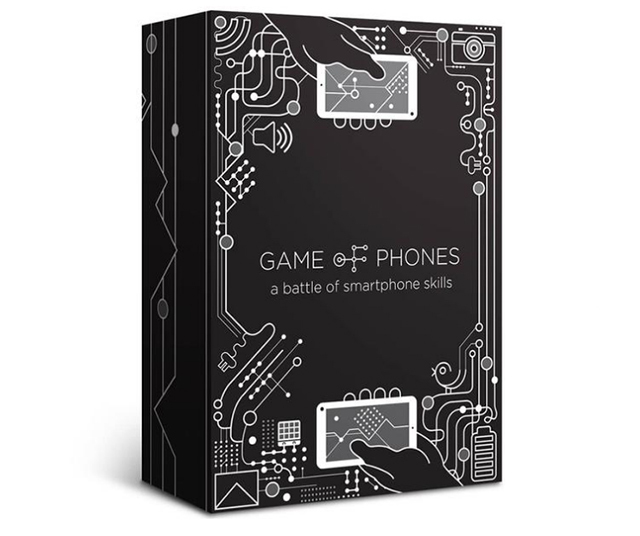 The only requirement to play this game is the Game of Phones deck of cards and a smartphone. Take on challenges such as finding the best selfies, taking photos of other players, and showing your worst or funniest texts. It’s sort of like the hoverboard, which was so hot last year, only there is no engine, so there is no risk of it blowing up or crashing you into a wall. Simply place your feet inside the two rolling units and skate away with a natural “wave” motion. 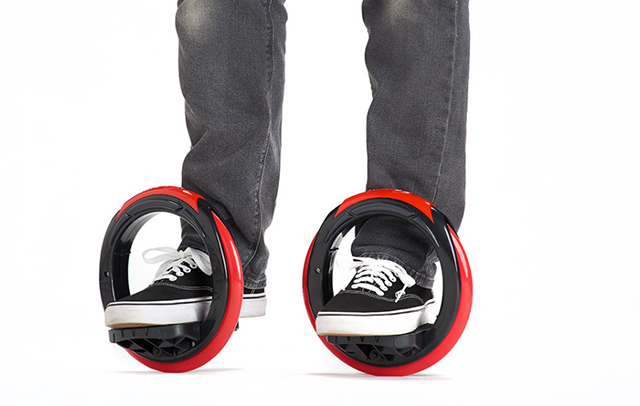 There are no batteries or motors to charge: large radius wheels rotate sideways around your feet for a smooth and stable ride over pavement or short grass.